You may find yourself “on the fence” as to whether or not to get a photo booth for your upcoming event. Furthermore, with many Photo Booth companies to choose from you may be wondering which one to choose. If this is the situation you find yourself in please let us take a moment to point out some highlights. When hosting a party there is always the task of coming up with party favors. Depending on what you decide to go with party favors can be very expensive. Consider the idea that a Photo Strip of your guests having a great time is the ULTIMATE PARTY FAVOR. Your guests can leave the party with their own personalized party favor. It doesn’t get any better than that. The challenge we face when throwing a party is to get people in the spirit of wanting to have fun. You hear the word “icebreaker” a lot. As you know “icebreakers” are facilitated activities to get people involved and having fun. Well Photo Booths are the ultimate “icebreaker”. WHY HIRE PHOTO BOOTH EXPERTS? One of the unique features of our Photo Booths is that they are group friendly. What this means is that you are not limited to only 1 or 2 guests at a time going into the booth. With Photo Booth Experts and Dallas Photo Booth Experts you get a Photo Booth that can fit up to 12 people comfortably. It goes without saying that the more people that are in the Photo Booth at one time the more fun they tend to have. This is a huge advantage to you and your guests when you use our services. 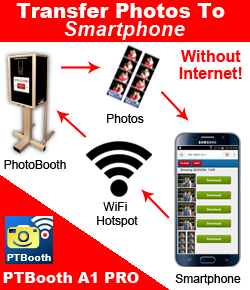 With Photo Booth Experts and Dallas Photo Booth Experts you get a Photo Booth that sits right at ground level. With wide easy to enter and exit access and no steps every single one of your guests will be able to enjoy the Photo Booth experience. The unique design of the Photo Booth Experts and Dallas Photo Booth Experts photo booth allows it to blend into the décor of any event. It can be embellished to look beautiful and elegant for weddings or it can be decorated with fun items for less formal events. At anytime after the event you can always request a reprint of any or all of the photo strips. Our unique numbering system allows us to locate and reprint any of your photos after the event is over.